My name is Sareth Sochan. I was born on the 13th of June, 1997 in Prek Jrey village, Prek Jrey commune, Koh Thom district, and Kandal province. I am in my freshman year at Cambodia Mekong University, majoring in Tourism and Hospitality Management. I come from an extremely poor family of farmers. I am the second of five children, two boys, and three girls. In my village, children are encouraged to study up until grade nine, after which they are expected to work as garment workers in nearby factories, in order to earn money to support their family, rather than continuing with their education. My parents were products of this mindset, and when I finished grade nine they asked me to stop studying. They believed that the role of a woman is to be a man’s wife. Additionally, money was very tight at home so my parents wanted me – and perhaps needed me – to start working. However, I was not willing to give up my education. I was determined to change the way they thought. I worked very hard to show them that my education was worth the investment. Eventually, I was able to go to high school in Sompov Poun commune. Life at this time was a struggle. I had to get up at 4:00am. I began the day by reading and cooking rice. I then embarked on a 10 km bike ride followed by a boat ride across the Basak river to school. I spent 2000 – 3000 riels a day (about 0.70 USD) including my tuition fee. On some days I had no money and would request my teachers to teach me for free. I would work as a gardener on weekends to make extra money to fund my studies. I passed my final high school exam. The news made me and my parents proud. Unfortunately, my parents couldn’t afford to pay for a university education for me. I found a job as a teacher for a year to be able to save money for university. However, after only teaching for two weeks my contract was canceled. My parents and I decided to borrow funds, and I promised that I would find a job to pay them back. My father and my brother went to work in Thailand to send money back to our family. I still wanted to study in Phnom Penh. I rented a room with three friends. My parents gave me 250,000 riels ($62.50) a month to pay for food, rent, and school materials. 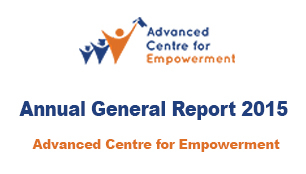 One day, I saw that an organization called Advanced Centre for Empowerment offered university scholarships. I applied and was called for an interview. Finally, I was accepted and achieved my goal. I expect that this scholarship will help me widen and deepen my knowledge. Moreover, with ACE I am experiencing new things and learning invaluable skills through workshops on topics such as Leadership and Communication. I also have the opportunity to help children in struggling communities. ACE empowers students like me by giving us access to all that we wanted but could not afford.